There are some really inspiring projects in the Bay Area that are currently in construction or recently finished construction that I thought it was about time I shared with everyone…. An abandoned parking garage stood as an eyesore on a prominent corner as buildings around it were transformed to meet the demand for space in San Francisco’s South of Market (SOMA) district. Boston Properties acquired the site as part of a larger development behind it and asked for a distinctive, eye-catching makeover. The new design features a metal screen fabricated from aluminum sheet cut out using computer numerically controlled (CNC) machines driven by the files we created using the Grasshopper plug-in for Rhino, a 3-dimensional modeling program. Lower floor concrete columns will be replaced by slender stainless steel pipes with a glass storefront set back from the street for better site circulation. A gap between the original façade and the new screen will contain LED lights – at night the second floor will appear to hover above its gossamer supports. Construction will commence in April, 2014 and is scheduled for completion six months later. 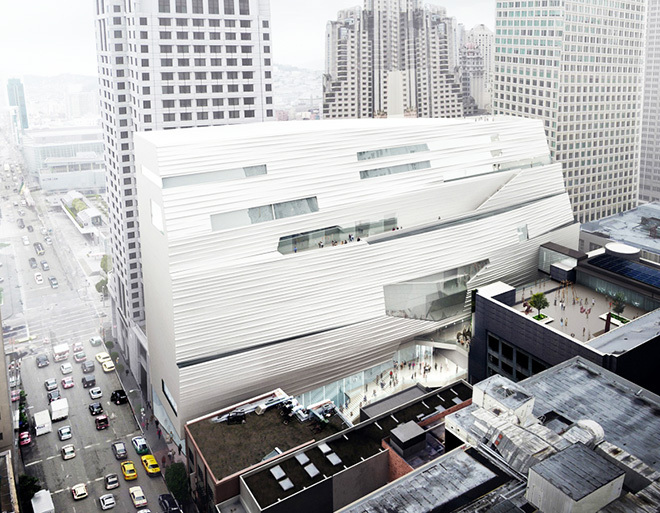 The San Francisco Museum of Modern Art is expanding to accommodate the growth of the museum’s audience, educational programs, and collection that has occurred since the current Mario Botta-designed building opened in 1995. The building will feature increased public circulation between the museum and the city through the creation of free, public ground-level galleries; new entrances that make the museum accessible from every direction; a central public gathering place. The use of glass throughout the building, as well as the creation of two outdoor terraces and a new sculpture garden, further serves to open up the museum and connect it to the city. It’s a pretty amazing building. It’s a little like a spaceship landed. 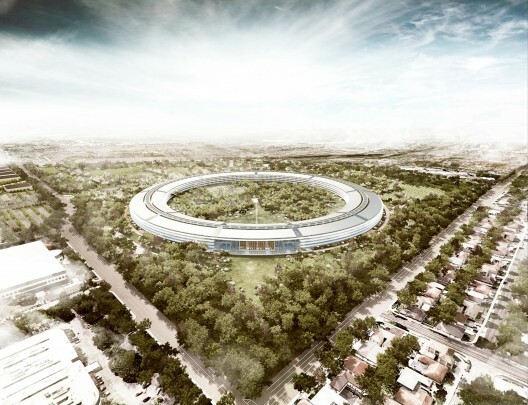 It’s got this gorgeous courtyard in the middle… It’s a circle. It’s curved all the way around. If you build things, this is not the cheapest way to build something. There is not a straight piece of glass in this building. It’s all curved. 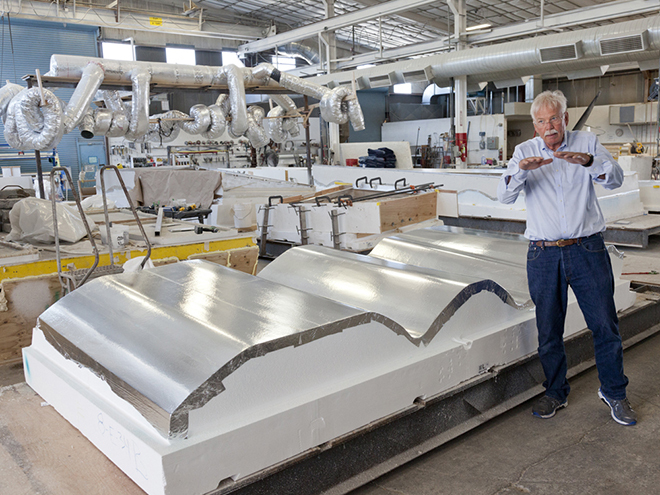 We’ve used our experience making retail buildings all over the world now, and we know how to make the biggest pieces of glass in the world for architectural use. And, we want to make the glass specifically for this building here. We can make it curve all the way around the building… It’s pretty cool. Also it has been recently rumored that Kreysler is responsible for most of the casting and molding of the prefab concrete. Previous Previous post: Prefab+3D Printing=?